Amid mounting nuclear tensions between the United States and North Korea, Japan has been marking the 72 anniversary of the atomic bombing on Nagasaki. Hundreds of people, including Prime Minister Shinzo Abe, attended commemorations in the city, the site of the last nuclear bomb attack to take place. “Here in Nagasaki, a city that continues to pray for perpetual peace, I reaffirm my commitment to realizing a peaceful world without nuclear weapons. 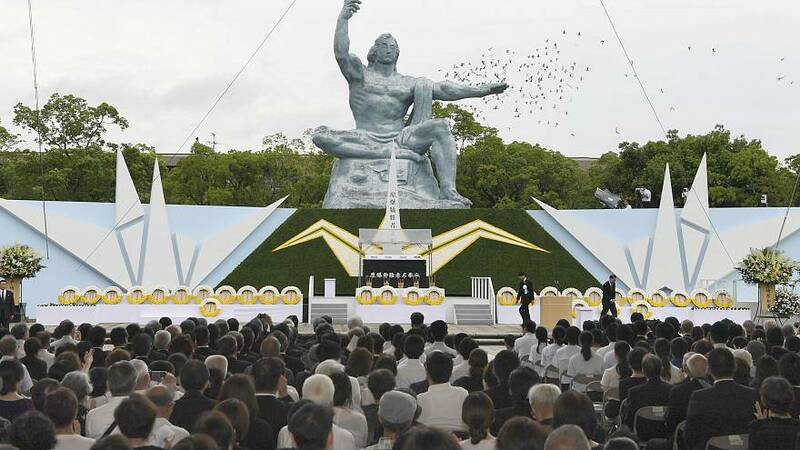 At the same time, I give my condolences to those who lost their lives because of the nuclear bomb, and I pray for peace of mind for the relatives of the victims, the participants of this ceremony, and all Nagasaki citizens,” Abe said. The bombing of Nagasaki killed more than 70,000 people. It came just three days after the attack on Hiroshima, the site of the world’s first atomic bomb. That claimed 140,000 lives. Shortly after Nagasaki Japan announced its surrender bringing World War II to an end.